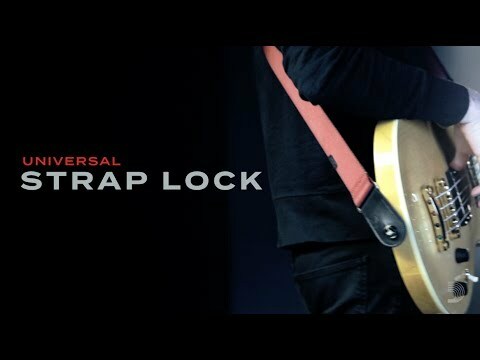 D’Addario’s Universal Strap Locks, designed by Ned Steinberger, give you the certainty and peace of mind that your instrument and strap are firmly locked in place. With hassle-free installation, our strap locks make it quick and easy to connect and remove your strap, leaving you free to move about the stage with confidence. Strap Buttons are available in black, gold and nickel. D'Addario is known for innovative, problem-solving, quality musical accessories, offering a complete line of award-winning accessories including cables, picks, tuners, capos, straps, humidifiers, maintenance tools and more. ONLY THE STRAP BUTTON COMES IN DIFFERENT COLOURs.